A picture book story - from start to finish! For July’s blog, we’re going to take you on the journey of the birth of a picture book – from first draft to publication (and beyond). 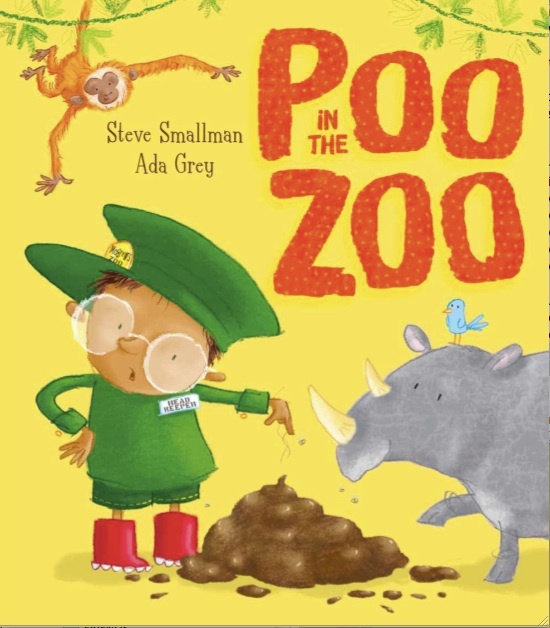 This month sees the publication of the fabulously funny Poo in the Zoo by Steve Smallman and Ada Grey. It's a romping, rhyming text! So, how did such a lovely book come to life? 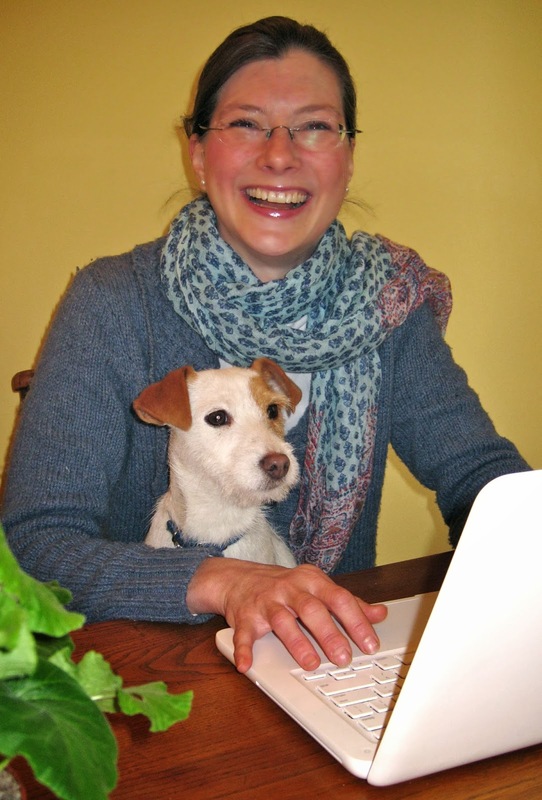 4th December 2013: the first draft of Steve’s text popped into Ellie's inbox at Little Tiger Press. The editorial team loved it and we knew there was a germ of a story in there, it just needed a little bit of a development so . . . There was a re-jig here . . . Sometimes Bob was a grown up, sometimes he was a young boy. a tweak there . . . Sometimes there was total gross out poo overload! Sometimes there just wasn’t enough! and a redirection at the end . . . In total, Steve reworked the text five times (sometimes it takes more than that, sometimes less). 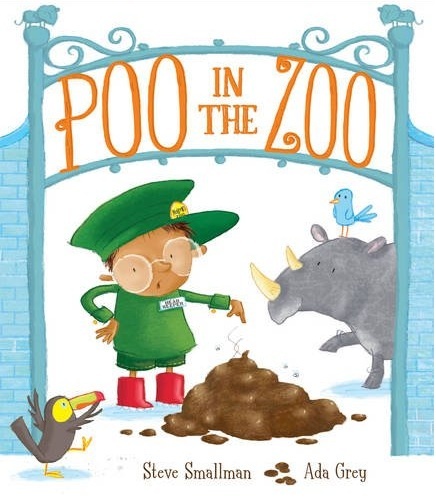 June 2014: Little Tiger Press acquired the text. Hooray! They sent Steve his contract and advance payment. We already had an illustrator in mind . . .
Little Tiger and Steve are big fans of Ada Grey and, as luck would have it, she was a big fan of Steve’s! They’d already made a great pairing on Hippobottymus! Insider info: Hippobottymus was pretty much word-perfect from the first draft we received but . 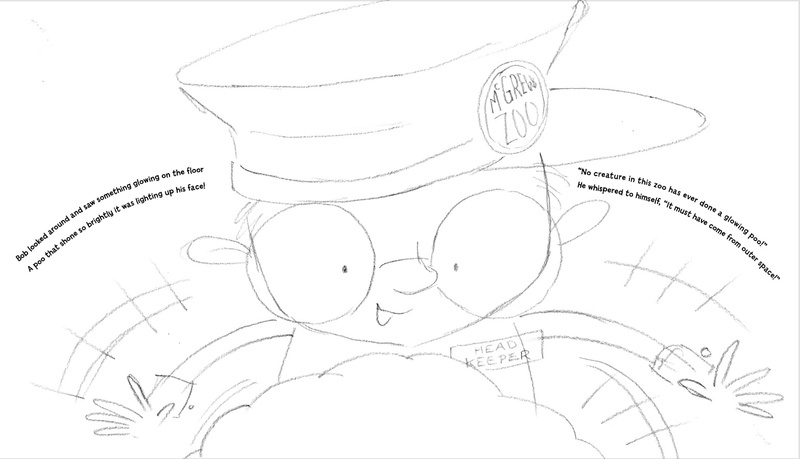 . . Steve experimented with six different endings to find the perfect trumptastic resolution! Insider info: It's safe to say that pretty much every published author has as many acquired texts as published ones. The biggest tip for all aspiring authors is to keep writing, keep submitting and don't forget to save those rejected texts. Keep revisiting them from time to time, reworking and refreshing them; you never know when you will develop a version that arrives on an agent's or editor's desk and is just what they're looking for. So we knew Steve and Ada would be another great match for Poo in the Zoo. We thought what she’d done was great. We particularly liked her suggestion that Bob might wear glasses. 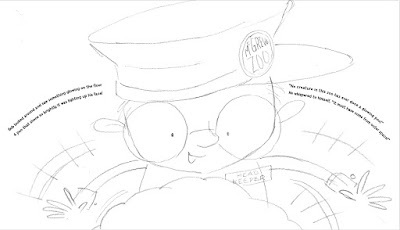 Steve agreed, so that’s how he appears in the finished book! 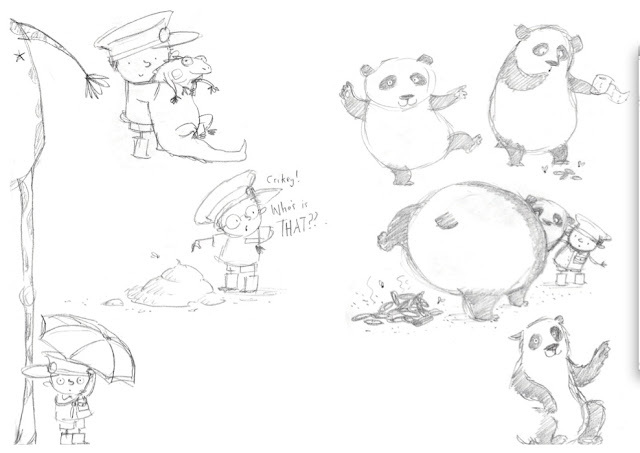 Next Ada sketched some thumbnails. 4 – it sometimes even shows the team where the text pacing doesn’t quite work and helps editors take over – or back – moments in the action to help the story. Now, we needed a stand-out cover. The creative team tried out lots of different approaches and directions to find just the right cover treatment. The cover also needed input from the sales and marketing teams since they are the ones with the clearest idea of what bookshops, buyers and retailers are looking for. October 2014: Once all the artwork was in, it was time to get some sales material ready for the Frankfurt book fair so that we could secure a foreign co-edition! 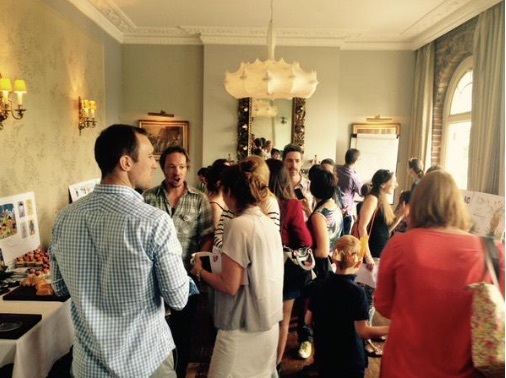 July 2015: finally, it was publication month. Hooray and congratulations to everyone involved! Time to get the book out there to reviewers, readers and children. And what better way than a breakfast with all our favourite bloggers and their little ones. The last thing to do is spot it on bookshelves and in bookshop windows around the UK. Happy publication, Steve and Ada! With special thanks to Ada Grey for allowing us to use her artwork. 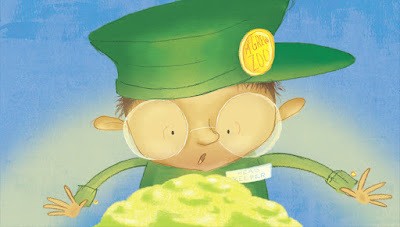 Thank you for the lovely feature SCBWI and Ellie! This is very good software for edit a kids book and this article tell us how to use this software thanks for share it literature review writing service .